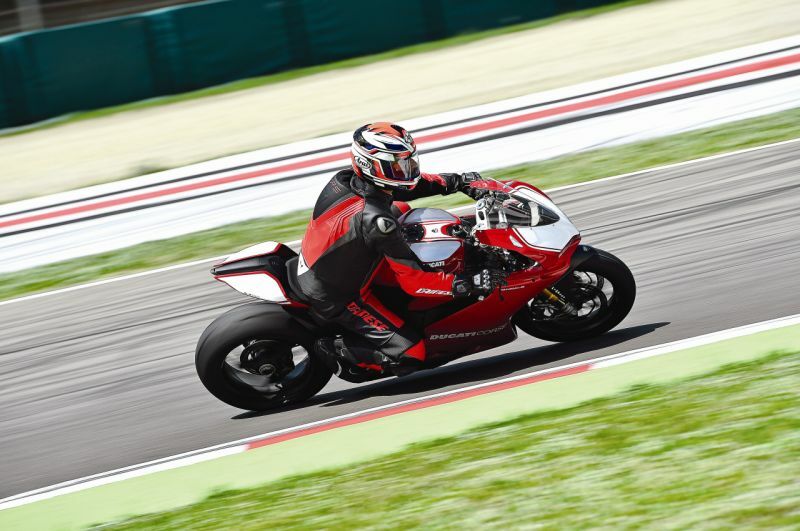 We are at the historical circuit of Imola to ride Ducati’s homologated world superbike, the Panigale 1199R. This ride has added significance because it was at Imola where it all began for Ducati way back in 1972 when Paul Smart took a sensational win in the Imola 200 International on the GT750. One reason why Ducati have launched the Panigale 1199R after the 1299 is because there is a capacity cap of 1,200 cc for twin-cylinder motorcycles in the FIM World Superbike Championship. The superbikes have never been as close to racing motorcycles as they are today. This is thanks to the new FIM rules which insist that they use the same pistons, con-rods, crankshaft and cylinder-heads with limited modifications. This has one upshot: while trying to keep the cost of racing motorcycles down what the FIM has done is pushed the cost of superbikes higher! Today it is not possible to make a racing motorcycle without exotic materials. Since the 1199R is primarily meant for track use, Ducati have made a lot of changes in the engine internals as compared to the 1299S. Starting at the bottom of the engine, the crankshaft is lighter and balanced with tungsten with titanium con-rods and low-friction two-ring pistons with SBK crowns. The inlet and exhaust valves are titanium with high-lift cams. The engine’s compression ratio has been increased from 12.5 to 13.2:1. 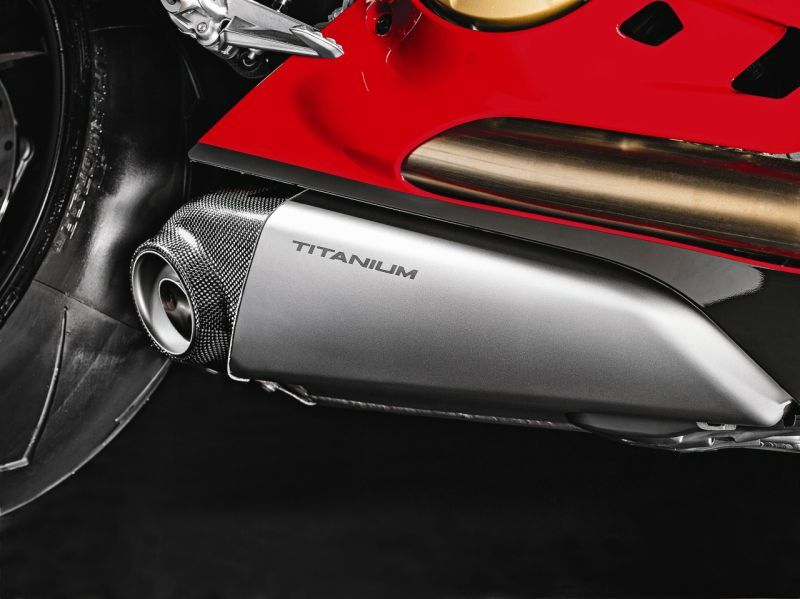 The exhaust pipes are 10 millimetres larger with titanium silencers and carbon end-caps. If you take the changes into consideration, it means maximum performance at the cost of bottom-end torque and that is what it does with a drop in torque from 144.6 Nm at 8,750 RPM to 136.2 Nm at 10,250 RPM. 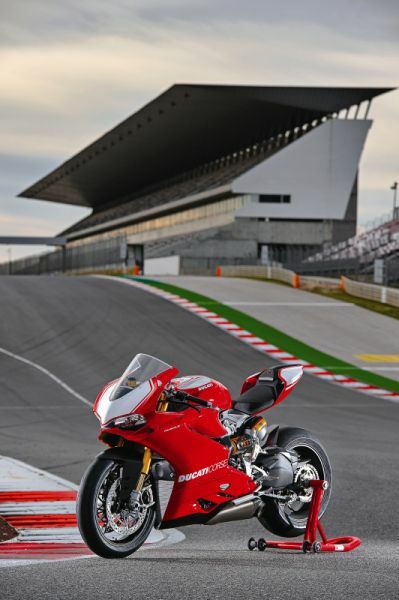 The peak power remains the same but it comes in higher at 11,500 RPM as compared to 10,500 RPM in the case of the Panigale S, and now the R red-lines at 12,500 RPM as compared to 12,000 in the case of the S. The R also has a clutch that is specifically designed for racing.